Chesapeake Light Craft's 20th annual customer rendezvous was held Friday and Saturday, May 18-19, 2018. You showed up anyway. Thank you very much for a terrific event! OkoumeFest is Chesapeake Light Craft's annual open house and customer rendezvous. OkoumeFest celebrates small wooden boats and the people who build and use them. "Okoume" is the attractive, sustainably-harvested tropical wood from which most small wooden boats are built these days. Thanks so much to everyone who made it to OkoumeFest this year! 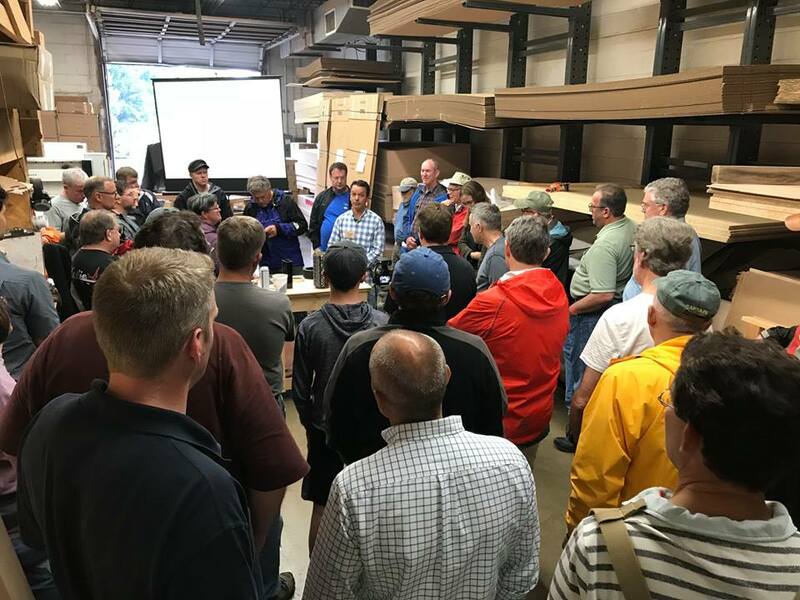 On Friday we had an afternoon of seminars at the shop in Annapolis, allowing us to ignore the steady rain. On Saturday we shifted across to the beach at Matapeake State Park for on-water activities and...more rain. Scroll down for the full recap. On-water photos continue on Page 2, and the award-winning boats are on Page 3. 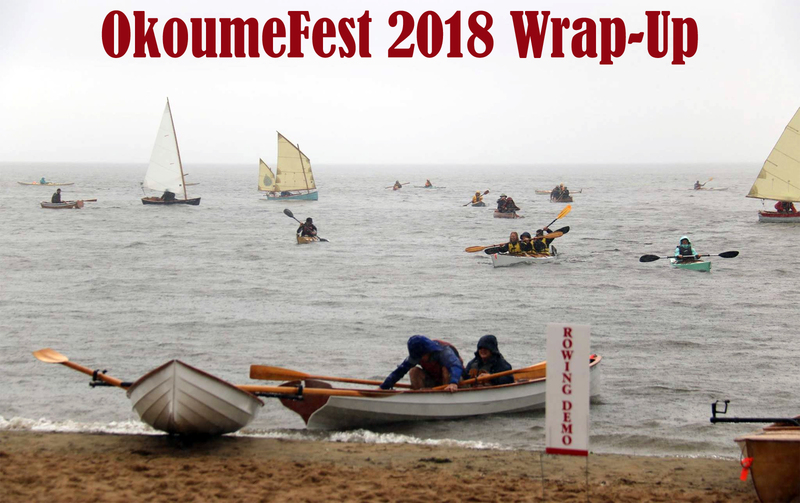 I'd like to thank the entire CLC staff, and especially CLC's COO Ed Wigglesworth, Production Manager John Staub, and Shipping Manager Brian Schmidt for the hard work and long hours required to make OkoumeFest unfold without a hitch. Thanks again to Tony DeLima, Nick Schade, Eric Schade, Joey Schott, and Nicky Stimpson for bringing their talent and knowledge to share. And we are indebted, as always, to the Chesapeake Paddlers Association for their safety boats. We'll be posting videos from the event soon, so check back! Friday's seminars were all indoors, fortunately! Tony DeLima, above, founder of MAS Epoxies and Forte Carbon, talked about the tricky realities of carbon application, and how he makes spars from kayak-size to offshore-racing-yacht size. An example of Tony's work, a 10-square-meter canoe converted into a trimaran for Watertribe racing. Eric Schade taught a fiberglassing seminar. He used a Kaholo 14 SUP. 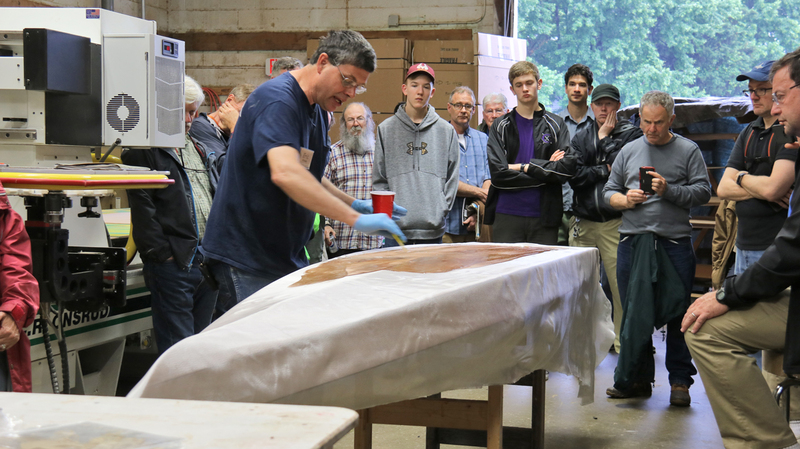 Joey Schott of Turning Point Boatworks walked us through the esoteric art of epoxy fillets. 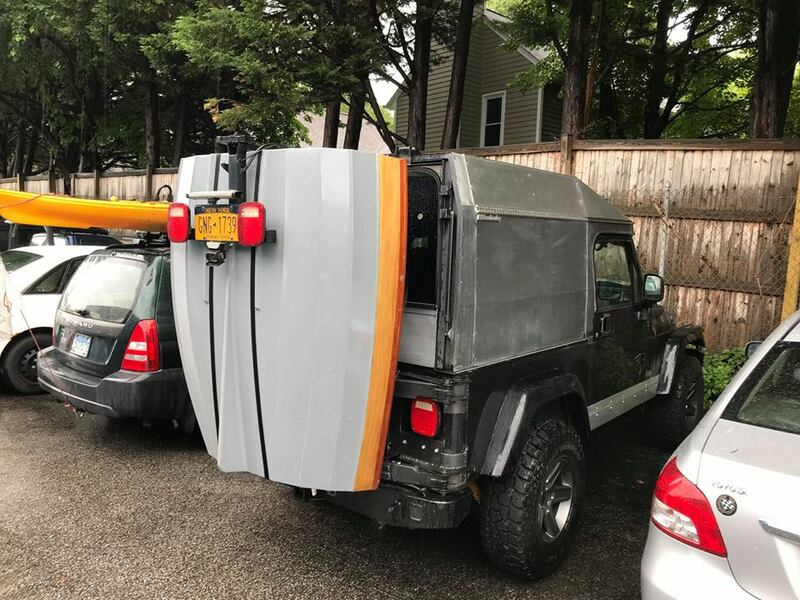 Clever transport system for an Eastport Nesting Pram spotted in the parking lot, mated to the stern of a Jeep. 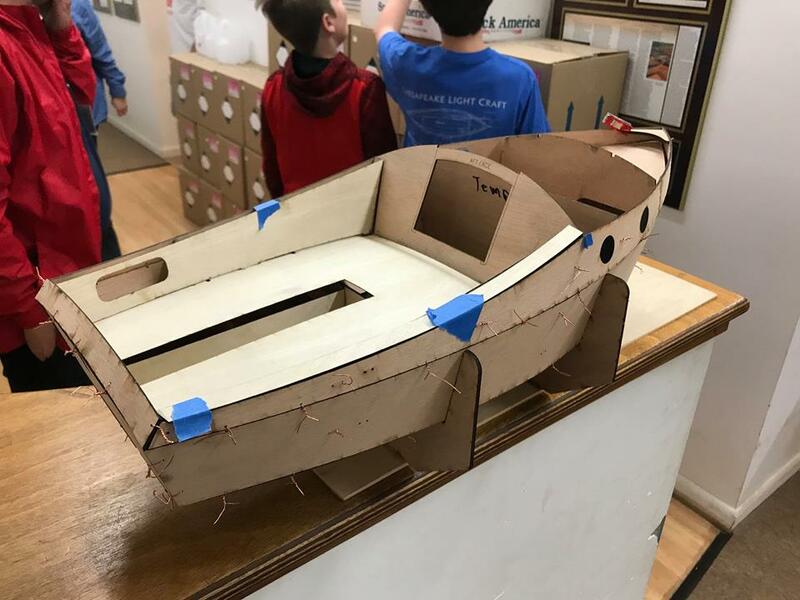 Early prototype of the PocketShip scale model. 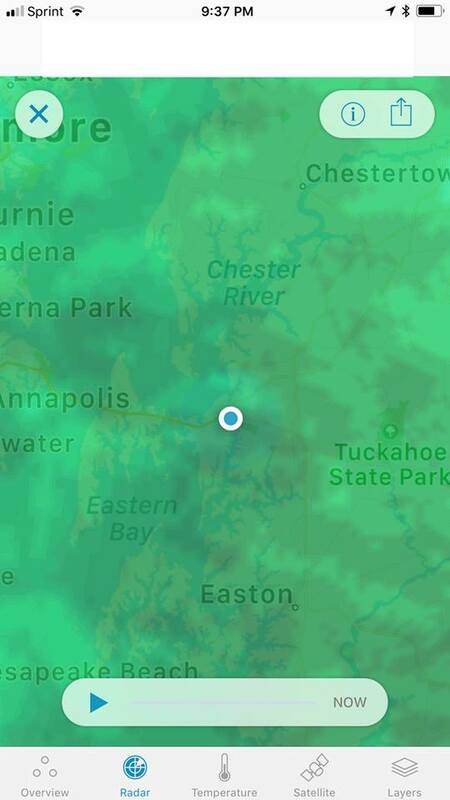 The radar Friday evening ... but we headed for the beach in the morning nevertheless.